Weekends are for the special outings to coffee shops, and weeke days are for drinking coffee at home. That's 5 vs. 2 days each week. Generally Josh and I prepare our coffee pot at night so we have fresh brewed coffee right when we wake up in the morning. Sometimes, if we're feeling jazzy, we will switch it up for french press, but that's a bit extra work. The taste of french press is just so much better though. Sigh. The dilemmas of life. Over Christmas, Josh and I heard about a coffee maker called the Aeropress. Miss Dorothy Trogler got one from her aunt and was telling us about it at Christmas dinner. What's this? Another coffee device? Looks funny. But, Dorothy confirmed later on, after the holiday fun, that it made a pretty darn good cup of joe. Now the awareness was set, it started springing up everywhere. 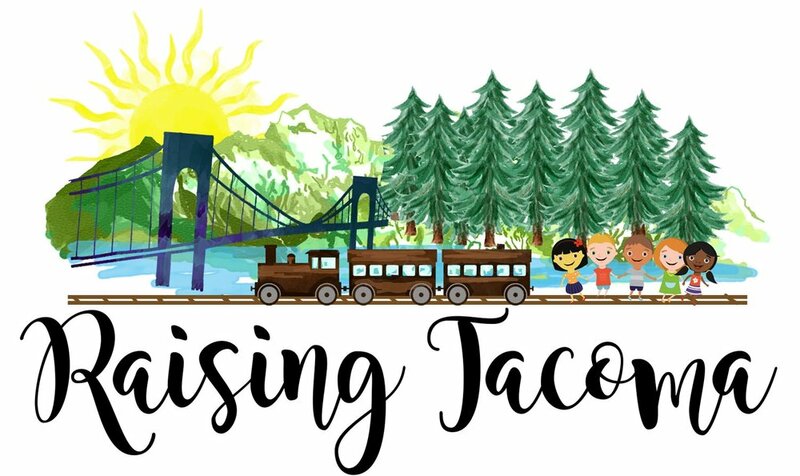 Josh started seeing it online on his random Internet explorations and it was getting rav reviews. Being the coffee snobs we are (or at least was like to pretend we're coffee snobs--it makes us feel special), we finally decided last week that we should invest in an aeropress and just see for ourselves what all the hussle and bussle was about. Over the weekend, we went to Target. No luck. We went to Bed, Bath, and Beyond. No luck at first, but just as we were leaving, we asked the sales associate for help. She looked it up and found it online. Sold. 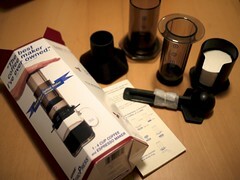 Our first aeropress was delivered to our front door yesterday. This morning was the grand reveal. 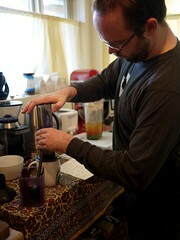 I ate my Honey Nut Cheerios and helped Josh whip up a cup of aeropress joe. Easy to make. I think once you get the hang of it, this is pretty easy. Good coffee. It makes like a shot of espresso. If you want a cup of coffee, you add hot water (this is called an Americano). It could also make a latte or cappuccino if you can steam milk. Quick & easy clean up. I hate, hate cleaning up coffee grinds. This just makes a puck of coffee (like an espresso machine) that you swipe off into the trash. Handy. It's just a few pieces of equipment and easy to store away. Learn how yourself here. Kind of a fun video. We did it slightly different, but it's pratically the same process. I think we'll add this to the week day morning circulation. Now we have three options for our coffee making. 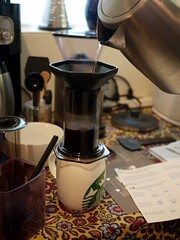 In this order from easiest to hardest: coffee pot, aeropress, french press. Not impressed? Then, sheesh, go make your own cappuccino.